Are you a dragon? 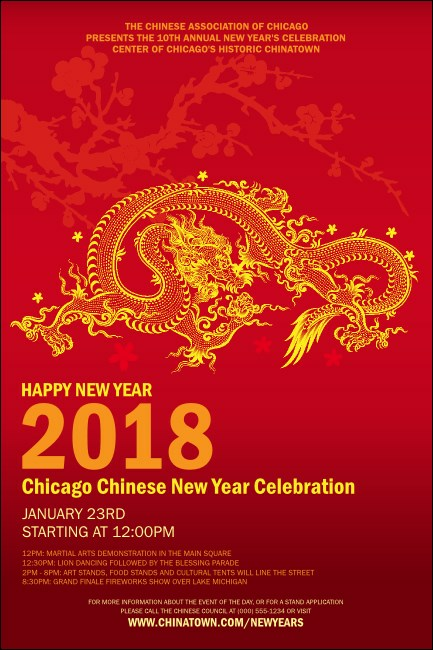 Strive for excellence in event planning: festooned with a plum blossom background and a noble dragon the Chinese New Year Poster helps your celebration stand out so you can increase ticket sales. Share all the details of your upcoming event with fifteen lines of bold yellow text on a red Poster template. You can't control the weather, but you can control your advance publicity with TicketPrinting.com.